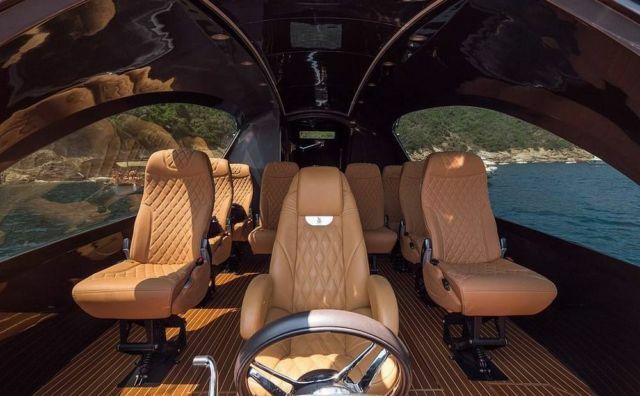 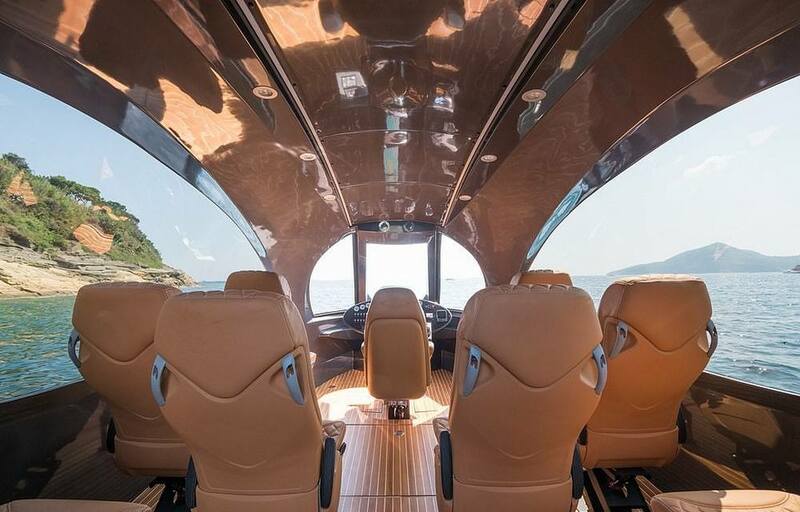 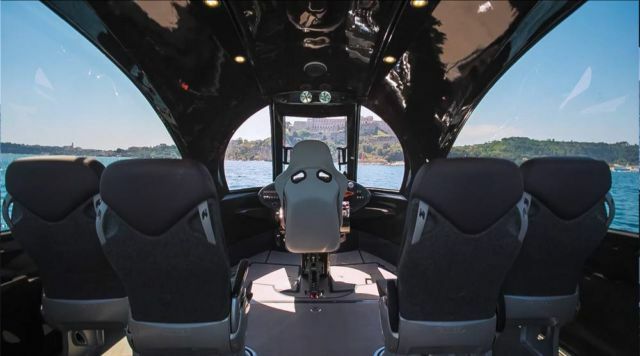 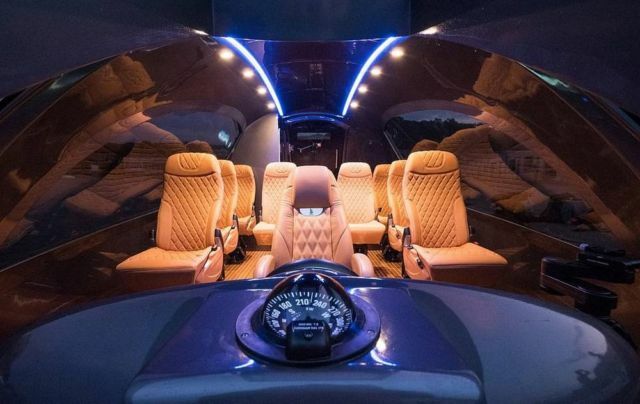 The futuristic luxurious Jet Capsule Royal Version 001, can fit 10 passengers traveling the at 70mph. 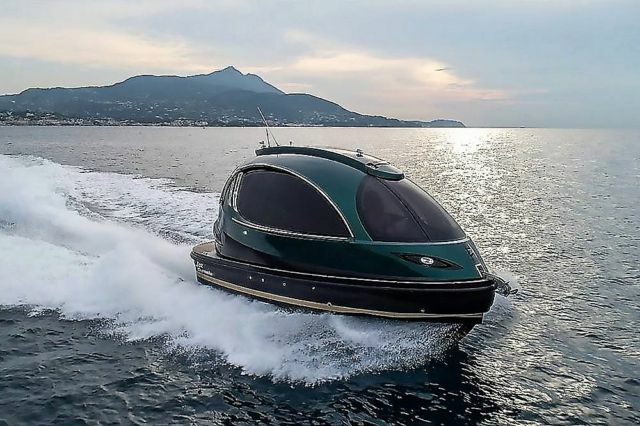 The jet-powered Royal Version 001 by Jet Capsule, measures 26ft (8m) long and 12ft (3.6m) wide. 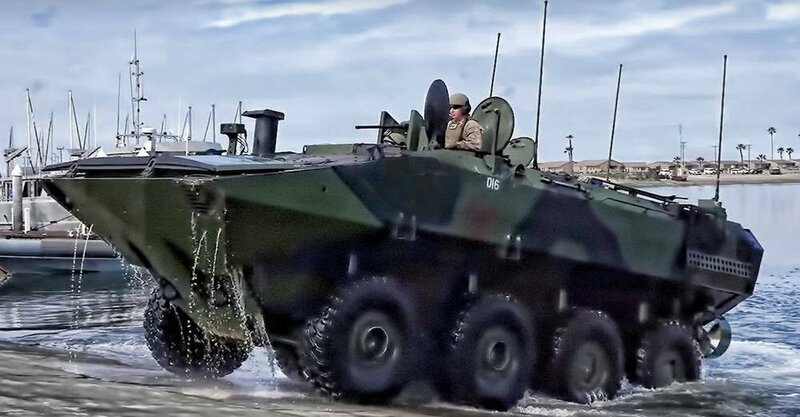 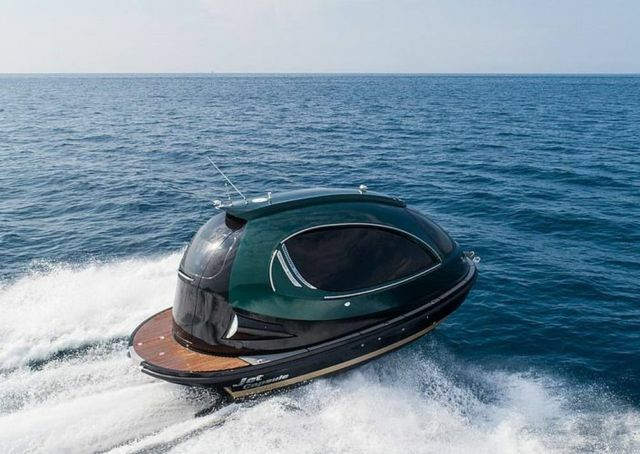 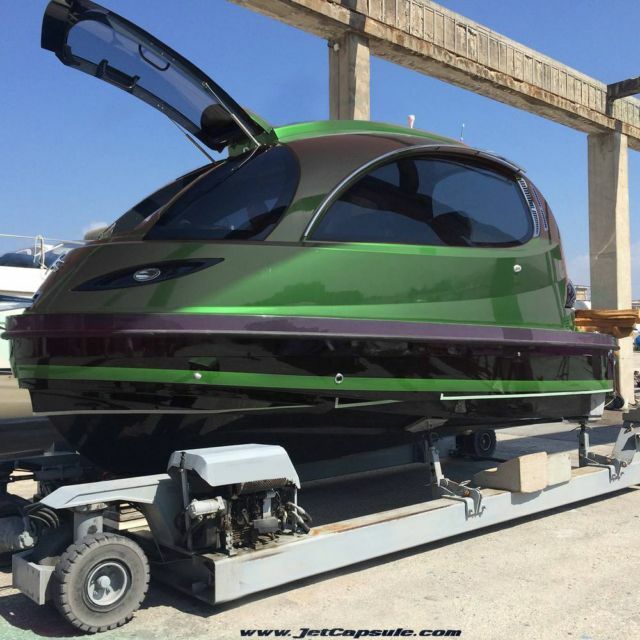 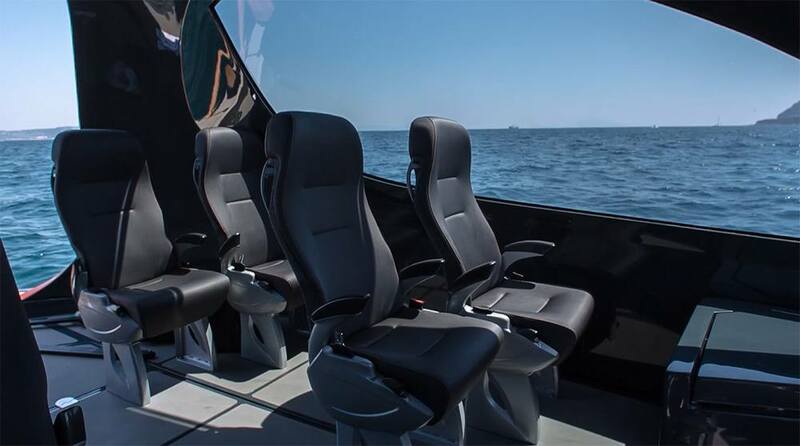 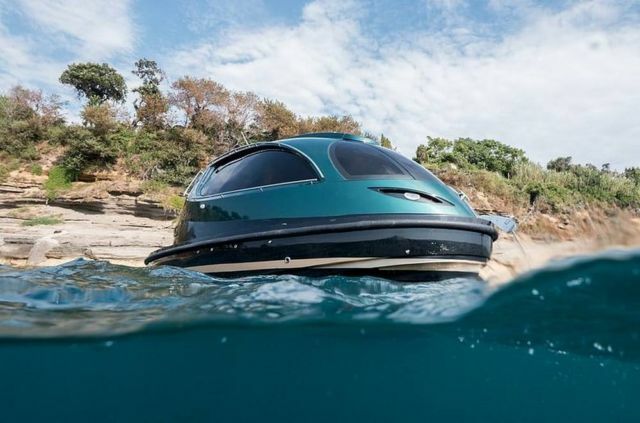 The fully customizable boat can carry 8-10 people, has bulletproof glasses and is powered by a 740bhp diesel engine. 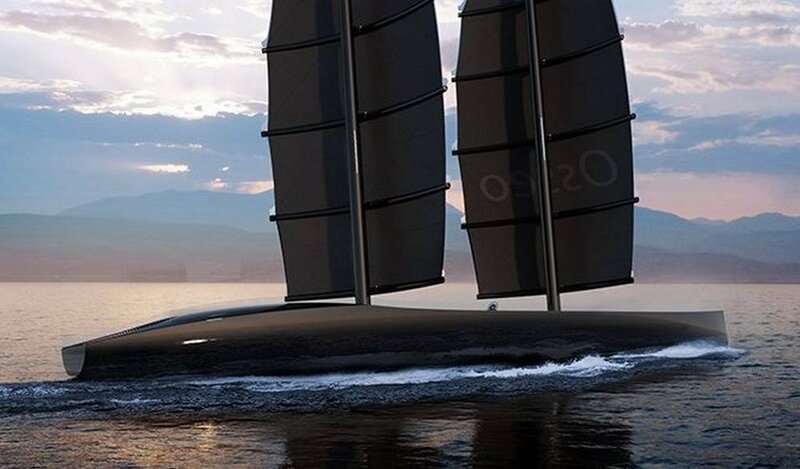 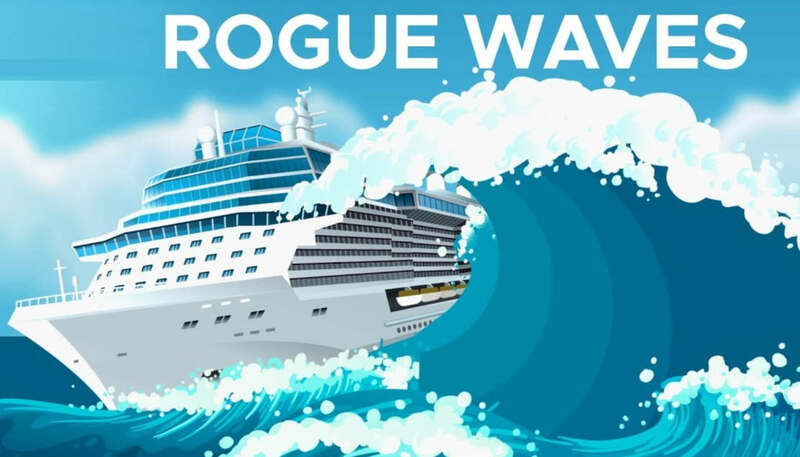 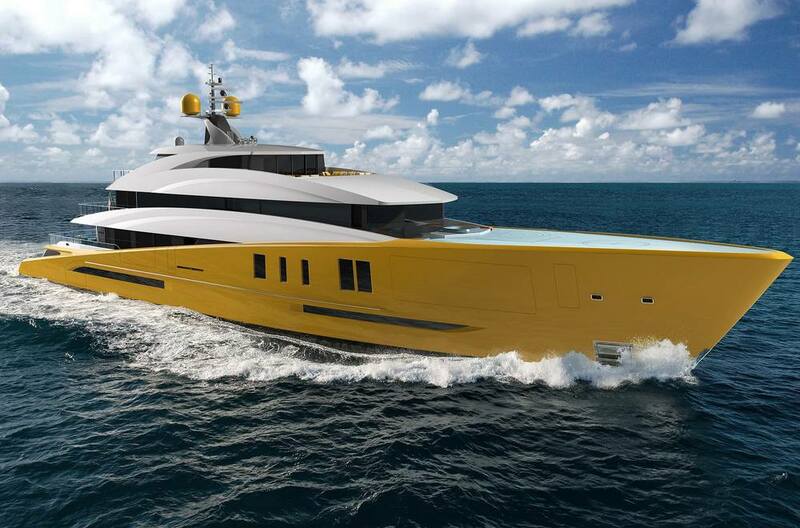 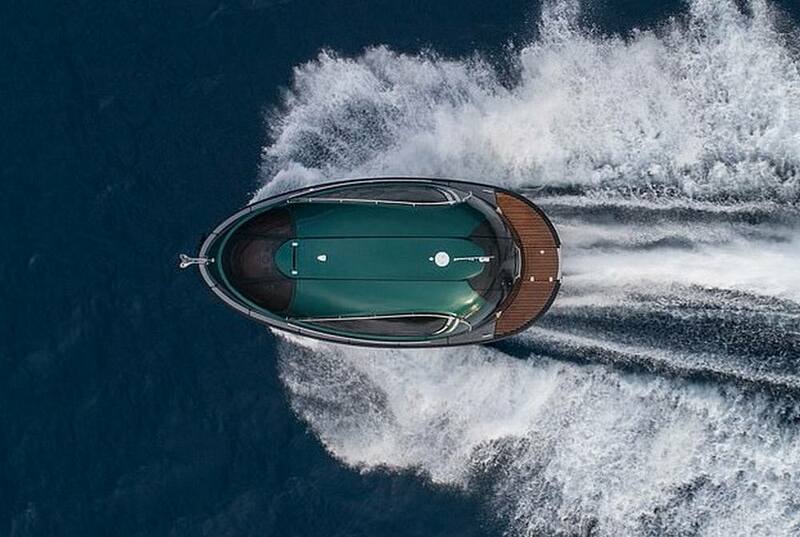 It can reach speeds up to 62 knots and features a bathroom and a bar in the back. 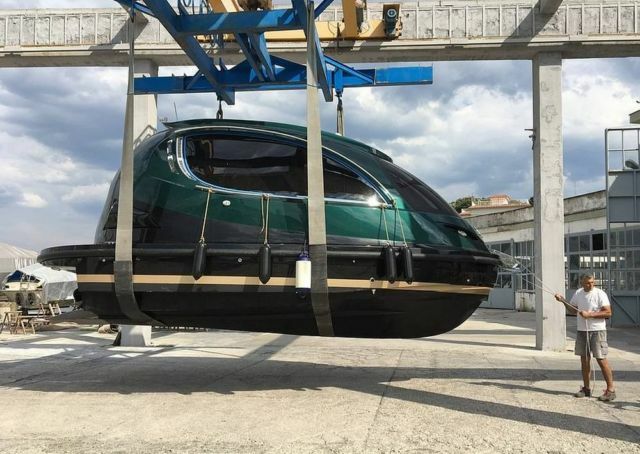 All Jet Capsules are under an international sail certification (CE and RINA) and can sail in any country of the world.